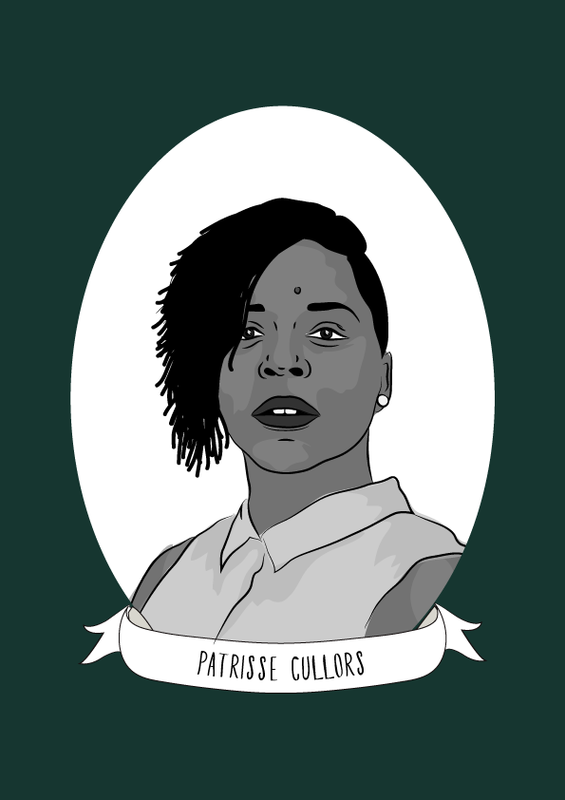 Patrisse Cullors is an artist, organizer, freedom fighter and queer activist. She is a co-founder of Black Lives Matter. Cullors became an activist as a teenager when joining the Bus Riders Union, a civil rights social movement organization. At the age of 16 she was forced to leave home after she revealed her queer identity to her parents. She formed a community of young queer women who were dealing with the challenges of poverty and being Black and Brown in the USA, and at 22 was awarded the Mario Savio Young Activist Award for her work as a transformative organiser. Cullors received a Fulbright Scholarship, which allowed her to study religion and philosophy at the University of California, Los Angeles. She combined her activism with art and in 2012 curated a performance art piece entitled STAINED: An Intimate Portrayal of State Violence. The performance led to the formation of the of the Coalition to End Sheriff Violence and eventually her non-profit Dignity and Power Now, both of whom have achieved several victories for the abolitionist movement including the formation of Los Angeles’ first civilian oversight commission over the Los Angeles County Sheriff’s Department. In 2013, following the acquittal granted to George Zimmerman after his murder of Trayvon Martin, Patrisse co-founded Black Lives Matter, which has since grown to an international organization with dozens of chapters and thousands of determined activists fighting anti-Black racism worldwide. Cullors has been the recipient of many awards for her activism, including the Contribution to Oversight Award by the National Association for Civilian Oversight of Law Enforcement (NACOLE) and was named a NAACP History Maker in 2015. In 2018, Cullors announced that she would be an adjunct professor at Arizona’s Prescott College. She has created a course which examines, social practice, cultural work, and art impact on community organizing as part of the Social Justice & Community Organizing (SJCO) Master’s degree program which combines a unique focus on critical race theory, anti-colonial theory, feminist and queer theory, critical political economy, and third world liberation theory with profound emphasis on developing, organizing, and mobilization as powerful tools for understanding the complex relations of history, politics, power and political/cultural/gendered oppression.